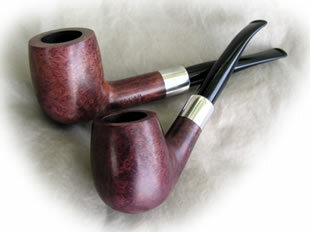 The importers of Keyser pipes are sometimes short of stock. The patented features of the Keyser pipe are the aluminium condensing chambers in the shank and mouthpiece, together with the protruding aluminium tubes from shank and mouthpiece. 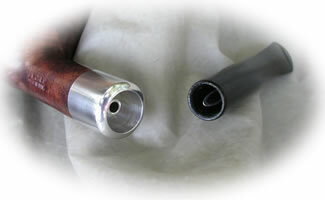 There being no connection between these tubes, moisture is trapped in the two chambers.